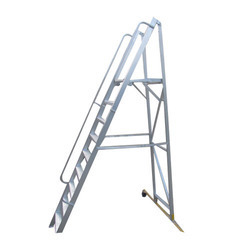 Offering you a complete choice of products which include aluminium folding ladder, aluminium telescopic ladders, aluminum folding self support ladder, industrial ladder, scaffolding and steel locker. 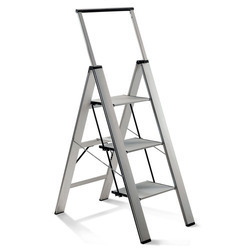 This ladder is a four-step platform one that is convenient to store and saves on space. It is made of solid Aluminium that lasts a long time. 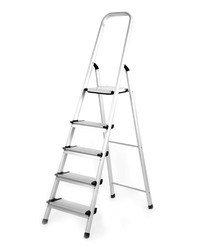 It has four wide steps which will ease your climb as they are placed at spacious gaps. 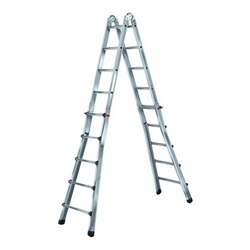 The ladder is light in weight and can be carried with utmost ease. 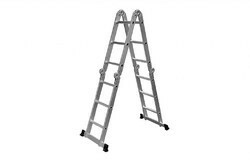 With years of experience in this domain, we have carved a niche for ourselves, in offering a wide assortment of Aluminium Folding Ladder. Our provided scaffold is extensively appreciated by our prestigious clients for their precise design and durability. 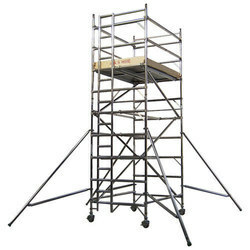 The provided scaffold can also be availed in several sizes, designs and other related specifications. 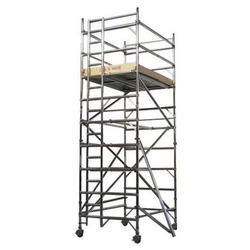 Our provided scaffold is manufactured by a team of proficient professionals using quality approved raw material and modern technology as per set industry norms. The main extrusion made up of aluminum alloy ‘C’ section 66 x 32 x 3.18mm thickness of HE30 grade T6 temper. 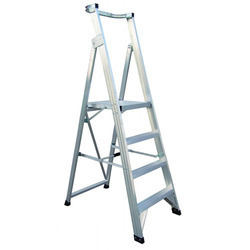 Both sides assembled with ladder section steps easy sliding of rope, stoppers and pulley arrangements high-quality leg grip rubber shoes for bottom legs. 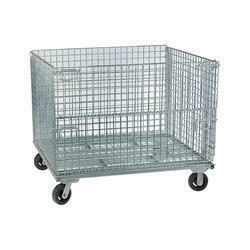 Non-slip extra grip standing platform top tool tray safety rings, etc. 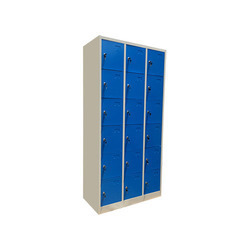 We provide quality storage cupboards for all purposes. 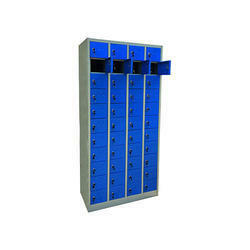 These are available as per clients design and requirements. 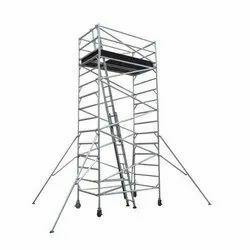 Our provided Industrial Ladders is extensively appreciated by our prestigious clients for their precise design and durability. 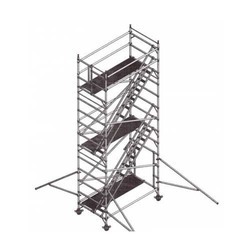 The provided Industrial Ladders can also be availed in several sizes, designs and other related specifications. 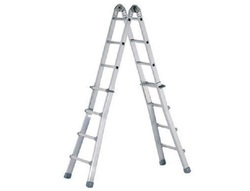 Our provided Industrial Ladder is manufactured by a team of proficient professionals using quality approved raw material and modern technology as per set industry norms. 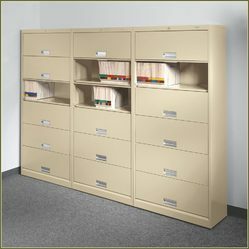 We provide a large assortment of high performance File Cabinets that is highly appreciated for robust structure and accuracy in dimension. We have carved a niche as the most prominent organization of this industry due to our commitment for the timely delivery at any part of the country. 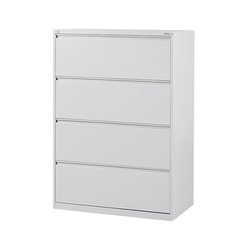 Our File Cabinets is developed from the superior quality raw materials under the strict vigil of talented quality control executives. Taking quality as our prime concern, we maintain the quality of our entire products range and offer the same to our customers. 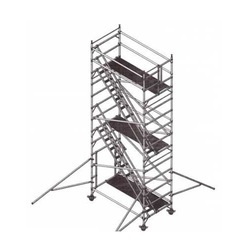 Non-slip, extra grip round corrugated fluted Pipe steps. Both sides assembled with ladder section steps Top platform. 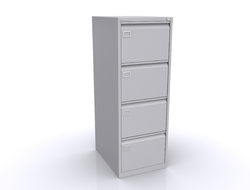 We are recognized in the industry for offering an extensive range of Aluminium Shuttersthat is used in offices and shops. The offered rolling shutter is manufactured using the best quality aluminium and sophisticated technology by our proficient professionals in line with industry standard. 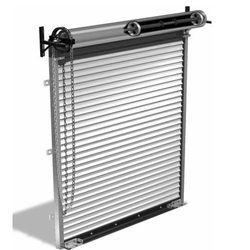 Apart from this, our offered rolling shutter is tested on varied parameters of quality so as to maintain its quality. We offer this rolling shutter in variegated specifications as per the needs of our clients. 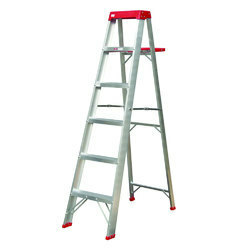 We are engaged in offering Telescopic Ladder to the clients. 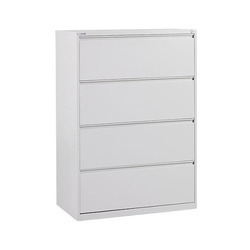 We are engaged in offering Drawer Cabinet EU-503A to the clients. 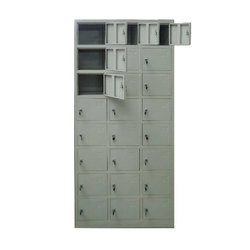 We are engaged in offering Lateral Filing Cabinet EU-504A to the clients. 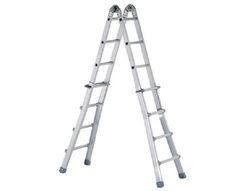 Looking for Industrial Storage & Ladders ?